Since nearly the beginning of the internet, we’ve been able to hedge our bets against people from across the globe, but virtual reality is yet again bridging the gap between what’s on our screens and what’s in the world around uses the Casino VR Pokergives gamblers a chance to stake their wagers in a virtual environment. With the advent of gambling dated back to before written history and online betting only coming about in 1994, the concept hasn’t changed much over its lifetime. However, it looks like what started as an upgrade for console and PC gamers might end up affecting online iGamers the most. Casino VR Poker is an Oculus Rift title that allows players to gather at a virtual poker table to compete against each other. While the technology is still new and the game has only been out for just over a year, its implications are undeniable as a few small improvements could give players a sense of actually being in a physical environment, something that keeps brick-and-mortar casinos relevant. 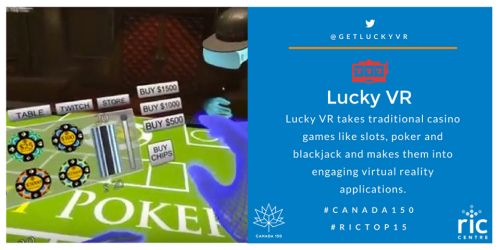 The possibility of growth has already been noticed by Canadian iGaming developerNetEnt, who created a VR slot machine that offers money payouts, something that casino VR Poker still fails to do. 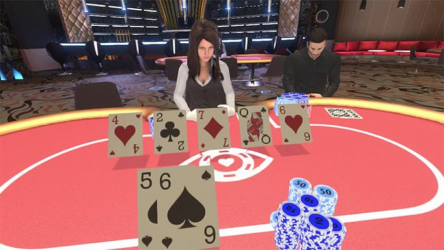 Despite lacking the ability to play for real money, Casino VR Poker does display where players are looking allowing others to read their body language and how they’re reacting to bets. 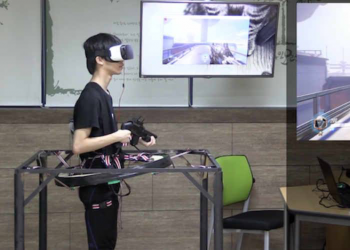 It also allows for crossplay between devices including Gear VR and Daydream as well as voice chat, a function that adds to players ability to read their opponents. Along with the amount of detail that’s already in these early iGaming titles, if facial recognition and display were added to the list of features, it would add even more depth to an already captivating experience. 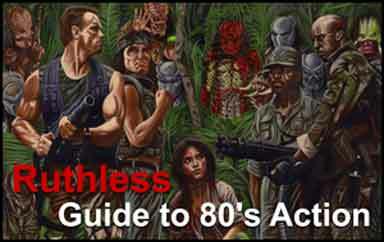 If we take this concept and add it on to pre-existing online casinos, the number of players leaving physical casinos and heading to their PC to play could be unprecedented. After the online poker boom of 2003, frequently called “the Moneymaker effect”, many turned to online poker, especially in the form of Texas Hold’em but increasingly playing other variants too, including Omaha and H.O.R.S.E. Providers have already implemented new tech into their poker software, and VR is set to improve this further. For instance, the 888poker site has already introduced a webcam play option. Combining that with VR and making use of OCR would mean an even more enhanced version of the online play that offers one of the most social experiences in iGaming. Casinos could then branch out from poker and slots and cover the spectrum of games from roulette to Blackjack, even allowing players to sit in on virtual races or gaming tournaments such as Overwatch, Counter-Strike or DOTA, events that are already gaining popularity by the month. However, it all depends on how successful the virtual reality industry becomes. As it stands, the industry is projected to grow from a $6.4 billion venture to $40.4 billion in 2020 and its application is not just talked about for gaming, but in many avenues such as shopping and cinema to name a few.Until then we’ll just have to settle for the few VR experiences we have along with the familiar online flash games, the text-heavy online poker tables and, of course, physical casinos – places that might just fade into memories in the decades to come.